One of the most fascinating spin-offs that has spawned from within the EVE player community is the large amount of related media. Last week, Rock-Paper-Shotgun published a really good piece on the use of propaganda and advertisement in EVE, tools that have the potential to influence opinions, morale, and even success or failure of organisations within the game. Expanding on that, I’ll have a look at the written news and opinion media created by EVE players with a focus on how they’ve formed, functioned, and developed over the years. There are many blogs about EVE, some of them becoming quite influential in forming “public opinion.” The most prominent example would be Ripard Teg’s now discontinued “Jester’s Trek”. While being very prolific and widely read in his own right, Ripard Teg definitely gained more traction by being syndicated through Eve News 24 (EN24) which has been the premier EVE news site for many years. At its 2010 founding date, EN24 took that position almost by default. There always were a number of independent reporters, but the site’s name immediately declared its purpose to be a 24-hour news service about EVE Online, including original and syndicated content. Concerning propaganda and bias, TMCs response was that unbiased journalism is an illusion. Rather than pretending to be objective, they would commit to being inclusive and try to get as many writers on board who have different viewpoints from Goons and their allies. For a time, that worked really well; TMC became known for very well written and edited articles that approached EVE related news from different angles. Just like the in-game coalition around Goonswarm, the site’s pool of contributors expanded quickly. They offered good payment, a solid support infrastructure and good editing. At the same time, TMC aggressively recruited prominent community figures and even poached some of the better EN24 writers. Politics did catch up with them eventually though, as I will elaborate on later. Over time, they lost much of the “outside perspective” as well as some of the better content creators they had attracted. Some of those actually switched to the very distant third of the major EVE media sites: This one. Crossing Zebras (CZ) began as a podcast by Xander Phoena and Jeg Elsker. Their show gained a large boost in prominence with the stellar effort of interviewing almost all candidates prior to the CSM 8 elections of 2012. Before that, the two show-hosts had already supplemented their podcasts with blog posts, but with increased following they attracted sponsorship which in turn meant that additional writers could be paid for contributions. 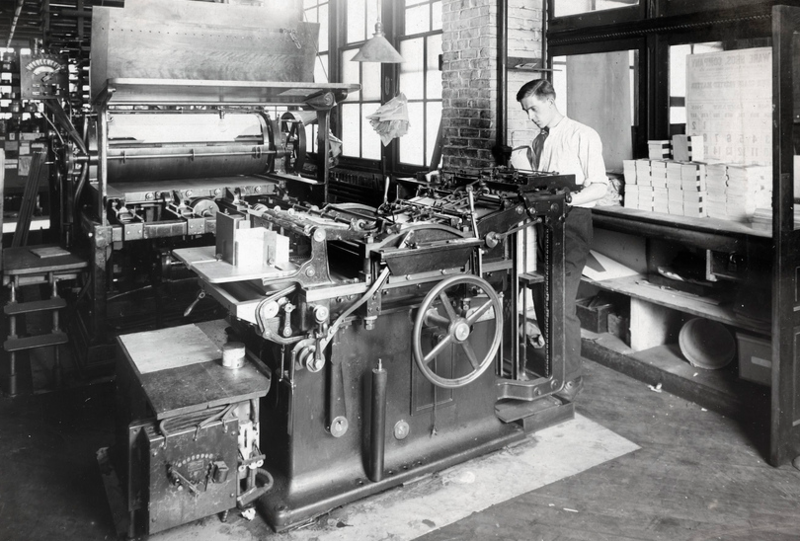 Consequently, CZ began to build a limited stable of contributors each writing a weekly column. The initial goal was to cover every day of the week with a different writer, and it worked, but CZ could not compete with EN24 or TMC in the field of news reporting. Rather, CZ aimed to produce quality op-ed pieces which go beyond the daily events in EVE. The site has been on an expansion path ever since I joined, and has since moved on from the weekly column model to producing more content including video streams and even a second podcast: The JEFFRAIDER show. Despite being in good health, CZ still cannot compete with TMC or EN24 in terms of readership though. The perception that EN24 was largely “anti Goon”, and the obvious Goon affiliation of TMC immediately created two camps. The more factionalist EVE players would refuse to read articles on one site or the other, they’d use adblocking plugins when they did visit “the competition”, and in the comment sections, a constant war of words went on where each side accused the other of bad journalism or spreading propaganda and falsehoods. TMC also began to target EN24 writers and editors with their recruiting strategy and—intentionally or not—they effectively drained EN24 of quality writers for some time. One of the examples was FearlessLittleToaster, who had excelled in producing regular updates on the developments in nullsec politics for EN24 but was recruited to TMC soon thereafter. Eventually, many writers who were not decidedly “anti-Goon” ended up at TMC, which in turn gave them the opportunity to point at EN24 as the ones who really were biased and factionalist, while TMC appeared as the more balanced medium. 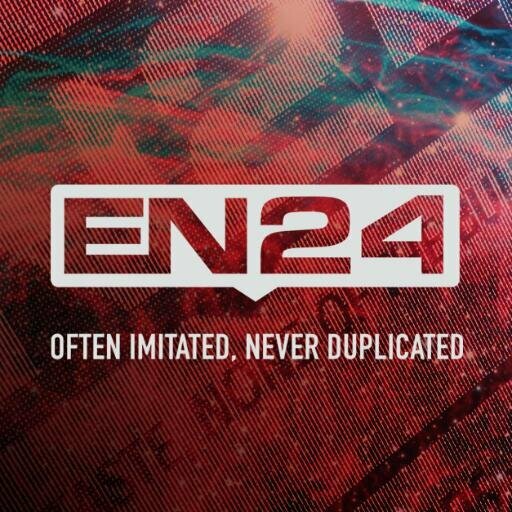 At the same time, that prevented EN24 from attracting any writers who would be affiliated or allied with Goonswarm in-game and so the dividing line between those two sites became ever more pronounced. In retrospect I cannot say whether this was due to affinity alone or whether there was an active policy in place that would forbid Goons or CFC members to go and write for EN24, but I do know now that certain elements in Goonswarm actively discouraged or even attempted to sanction people who would go and write for a competitor; at least during the times that I was privy to the things that went on behind the scenes. Although even before I was actively involved in EVE media, there was a defensive-aggressive attitude that came directly from prominent Goonswarm members. I personally experienced that when I got into a discussion with Darius JOHNSON, former Goonswarm CEO and CCP employee. I had made a general statement that for as long as there are prominent players from powerful in-game organisations hired into influential positions within CCP, players will come up with conspiracy theories about collusion. Unfortunately he interpreted that as a personal attack against his work as CCP Sreegs. The day after I found that I was banned from commenting on TMC. I never received an answer to my inquiry why that happened, but I can only assume that it was because of that episode, as I had never posted anything even remotely inflammatory on their site. That attitude of TMC management and the way it is tied directly to the metagame of the CFC/Imperium sours the deal that The Mittani offers to its writers. In-game, the Goons can offer players access to a great organisation which provides content and security, if they submit to the rules. The implied threat is, that if they defect they could just as easily be destroyed by the very same coalition. When it comes to media, all a site can offer to a writer is ISK and exposure. EN24 may offer less ISK and CZ less exposure, but if the price is dealing with overly meddlesome management, some writers and editors gladly swallow that bitter pill. Over the years, several very proficient TMC contributors became alienated, and the pool of potential content creators that TMC can draw from became smaller. While The Mittani boasts in an interview with the Observer that TMC can rely on the affinity of 40.000 players with 12.000 in Goonswarm alone, that is of course not really true. There are 40.000 accounts in The Imperium. How many players that reflects is open to speculation, and not all of them are cut from the cloth that can make good writers. As a result, the quality of writing has declined noticeably. In the past, TMC have often mocked EN24 for haphazardly written pieces that contained little value, and they were not entirely wrong. Recently, we have seen a reversal of those roles during the dissolution of Black Legion and the secession of some corporations from NC. which were both covered in-depth on EN24. At the same time TMC has toned down its media metagaming attacks against EN24 too and appear almost complacent when it comes to EVE-related content. Certainly they can be satisfied with the readership they get from their own community and recently they have branched out into other media like twitch streaming and focused even more on games other than EVE. In particular, H1Z1 has become popular with Goons and is now prominently featured on TMC to such a degree that they have a whole FAQ page dedicated to joining the game via their channels. On a personal level, I both welcome and lament this development. On one side, I am glad that the needlessly divisive and belligerent attitude of TMC has become less intense; on the other I miss the good quality writing that they produced. As a neutral party to the antagonism between EN24 and TMC, we at CZ have also played our own little media metagame: Xander Phoena is a well-connected socialite who manages to attract personalities from many different groups within EVE, and Editor-in-Chief Niden is no stranger to targeted recruiting himself. Over time, CZ attracted several contributors from TMC and EN24 who were looking for a place where they could work on the same quality level, but without control freaks breathing down their necks or an overly hectic environment. I myself was the subject of a very well-timed and successful recruiting pitch which drew me away from EN24. While CZ is currently successful, we do have to watch out for potentially getting caught in the same trap as EN24 and TMC and becoming too factional. Diversity lay at the foundation of the CZ style and the goal was to attract players not only from different organisations, but also from different playstyles. Like attracts like though, and at this point we have to watch out that we do not become too centered around Gallente Militia and Pandemic Legion players. … and EVE players love their metagame. Propaganda and media warfare have been part of this metagame ever since larger player organisations formed. If you watch Andrew Groen’s EVE player history presentation, you can see the evidence of that from ten years ago. Major news sites are comparatively recent additions to that aspect of the EVE community, but they also took sides in that competition for the hearts and minds of players. Not only that, they also supported CSM candidacies, agitated for game changes, and exposed scandals to a larger readership. The ferocity of the rivalry between EN24 and TMC also goes beyond their potential support for one faction in the game or another. Those two sites get enough pageviews to actually create income, and competing for readers thus involves higher stakes than just online fame in a gaming community or effective propaganda that can lead to success or failure of a campaign in EVE. It is a debatable issue whether this monetization is a good or bad influence on the content of the sites. People have often criticised EN24 for what they call a “FOX News style” of mass appeal that favours simplistic and sensational reporting. TMC has faced criticism for their pagination of articles which was seen as a cheap attempt to get more pageviews without really improving readability, or their layout changes which are geared more towards mobile devices. On the other hand, the added pressure generated by the desire to create income has also motivated both parties to improve their content and keep developing themselves. Their desire to outperform each other also raised the bar for a smaller site like ours. Certainly it had the same effect on many of the independent bloggers who continuously write their stories, analyses, agitation pieces, and commentaries about the game we are all involved in. The different forms of EVE related metagame have continuously evolved over the years and resulted in ever more complex and sophisticated forms of player organisation, third-party services, political strategies, combat tactics and player narratives. The EVE related media landscape was always intertwined with those developments and grew alongside other metagaming methods. The very fact that I have only covered the development of three particularly prominent media sites while there are a multitude of blogs, podcasts, audio and video streams and graphic design shows quite clearly how rich and diverse EVE related media is, and more than a few of those content producers have their own agendas in the media meta.